Warriors' Klay Thompson on Buddy Hield: "He's Next Big Thing"
Klay Thompson is no NBA general manager, but he doesn’t shy away from assessing college talent – particularly that of Oklahoma guard Buddy Hield. 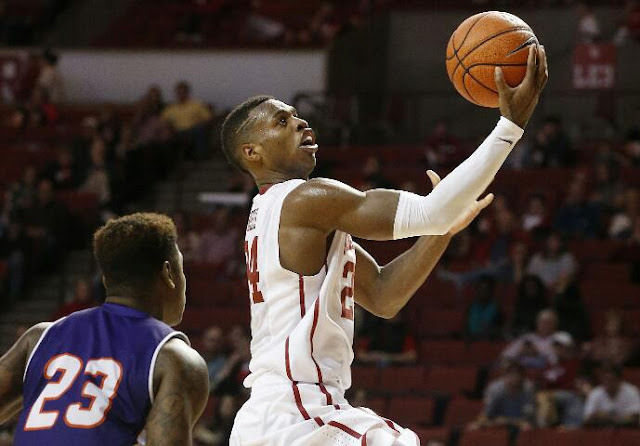 Thompson is a huge fan of Hield, the Oklahoma guard who is lighting up the NCAA Tournament while leading the Sooners into the Final Four this weekend in Houston. “He’ll be a great scorer,” Thompson told CSNBayArea.com on Monday. “He works so hard. He’ll be a tenacious defender. He’s physically gifted. He’s going to help somebody. He’s going to make a big impact. READ >> The latest news on Buddy Hield.